In Chrome, on the upper right hand side there should be 3 little lines. Click on that and go to settings. If you don't see them there, click advanced settings at the bottom of the page and keep reading. I know that it should be there somewhere.... In Chrome, on the upper right hand side there should be 3 little lines. Click on that and go to settings. If you don't see them there, click advanced settings at the bottom of the page and keep reading. I know that it should be there somewhere. on the browser toolbar. Select Tools. Select Clear browsing data. 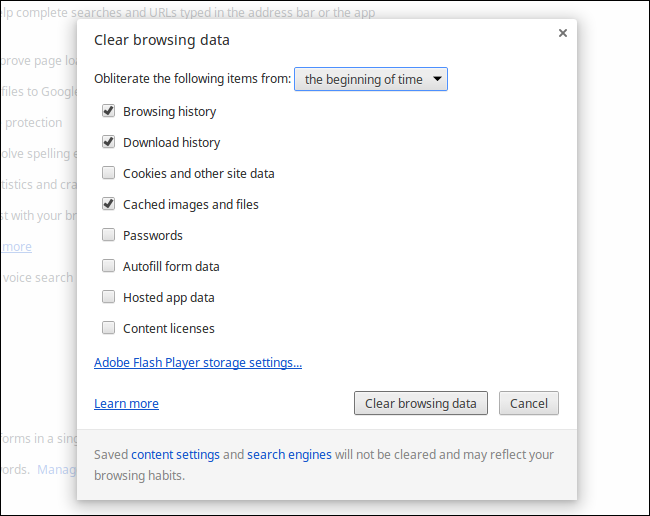 In the dialog that appears, select the �Clear browsing history� checkbox. In Chrome, on the upper right hand side there should be 3 little lines. Click on that and go to settings. If you don't see them there, click advanced settings at the bottom of the page and keep reading. I know that it should be there somewhere.